yields a tree where ui is the predecessor of vi. yields a tree with edges ej. yields a tree with vertices vi and edges ej. yields a tree with vertex and edge properties defined by the symbolic wrappers wk. uses rules vivj to specify a tree. 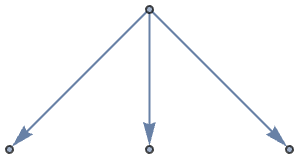 TreeGraph generates a Graph object. 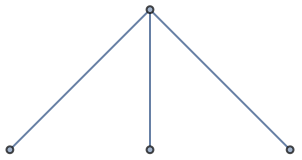 TreeGraph supports the same vertices, edges, wrappers, and options as Graph. A tree is a connected graph with no cycles. TreeGraph can only represent trees.